The Cambridge Institute for Medical Research (CIMR) forms a unique partnership between basic and clinical research, with the aim of understanding the cellular basis of disease. Their research vision is to invest in world-class research facilities to create a collaborative environment and support the work of outstanding scientists who are then empowered to excel and make discoveries about cellular processes. 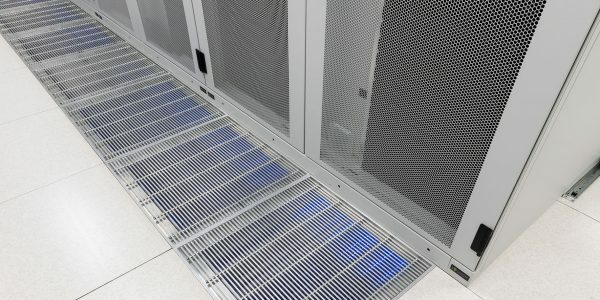 Further to an initial feasibility study, it was decided that due to the inefficiency of the existing server room and exasperating running costs the University of Cambridge’s medical research department required a ‘fit for purpose’ energy efficient server room. After a successful tendering period 2bm were appointed as the principal contractor at the CIMR site due to the flexibility of the server room design and energy efficient modular solution. 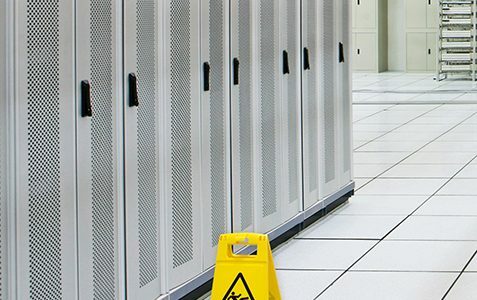 Within 14 weeks on site 2bm has completed the transformation of a redundant chemical store into a state-of-the-art server room, with a PUE of 1.20. Due to the poor condition of the existing facility and the need for the kit to be transferred over to the new server room as quickly as possible 2bm were tasked with adhering to a tight programme. Originally created as four separate rooms, which were being used for storing chemicals, the space needed to be transformed into one open room. This meant the dividing walls would need to be removed; an action that would lead to concerns regarding supporting the existing antiquated roof. Subsequent structural surveys were necessary in order to safely commence the project. Working in a live hospital posed expected problems as aside from noise pollution, difficulties arose surrounding organising deliveries and accessing the site. This problem was most palpable when managing the delivery of the 1MW generator. In addition the length and run and difficulty of the cross-site cables posed a risk of disrupting work, and precision planning was vital. In addition as space was limited, this precluded a number of free cooling options. Regular client progress meetings were held to allow flexibility and ensure the project was delivered on time. › Facility training and O&M manuals handover. “From beginning to end 2bm impressed us with their professional approach and flexibility, particularly when unplanned and unexpected changes to the project occurred. The room has been operating at high load from completion and is performing exactly as specified.